Can you find good mattress under $500? It’s possible. Keep reading, and I’ll tell you all about it. For whatever reason, you need a new mattress. Maybe your old one is falling apart (or a cat clawed it to bits.) Maybe you’re moving and don’t want to take the old one with you, or need a bigger/smaller size. Or maybe you’d like to get rid of the one that’s just become uncomfortable, and is leaving you with a backache. Do you know where to start? Maybe you just need a new mattress temporarily, and you’re storing your things for a while for a long-distance move. Maybe you have a guest bed or room that will only be used occasionally, and you need something inexpensive. Or you need a new mattress quickly and don’t have a lot of money to spend on it right now. A mattress under $500 might just be what works for you, right now. If you’ve gone to a mattress store, or even some department stores, you’ve probably experienced “sticker shock” after seeing what a good, comfortable mattress costs. And never mind all the different things you’ve got to know before you make a decision. Does it sleep “hot?” Does it offer joint support? Does it smell funny? Fortunately, it’s easier than ever to learn about mattresses and what they have to offer before you ever set foot in a store or go online to see what’s available. You need to know what options to look for, and what to avoid. It’s not just about “firm” or “medium” or “soft,” it’s about finding the right one for your needs. Don’t just walk into a place that sells mattresses, and buy the first thing you see. You can find a good, comfortable mattress under $500, and they’re readily available online. Regular foam—not as popular as it used to be, since it doesn’t last as long as memory foam. It’s also made without the same chemicals as memory foam, so it deteriorates faster. You probably won’t find a mattress at this price point made of latex. It’s more expensive to create, since it comes from tree sap from the rubber tree. 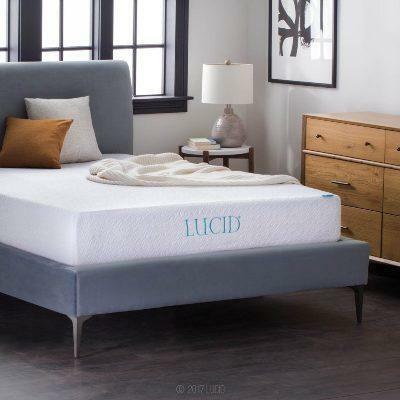 But latex mattresses—whether natural, synthetic or blended—are also recommended by doctors for those who have pain points, since latex tends to cushion the joints a little better. Air Mattresses are usually found on camping trips and in temporary sleeping arrangements like sleepovers or when someone has just moved into a place. 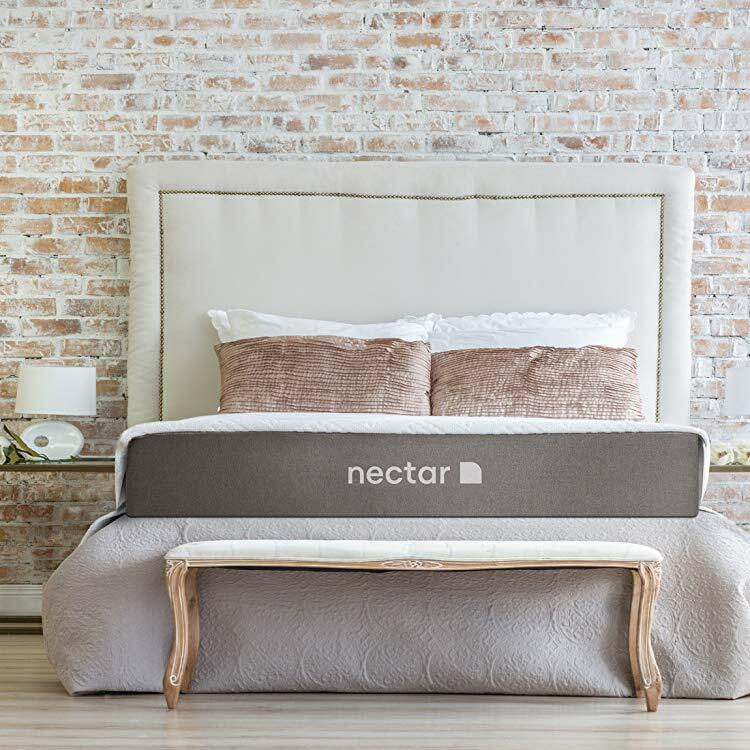 They’re under $500, but probably not going to be your permanent mattress. Made from PVC, they’re quick to inflate and deflate, and can be set up quickly. Water beds, those throwbacks to the 1970s, are still around and better made than they used to be. Modern waterbeds come with more foam and more durable covers to prevent leaking. There are also models under $500, but may not be practical for a number of reasons. But a good, comfortable mattress under $500 is available. You just have to know where to look. The biggest issue most people have with buying anything online is that they can’t examine it before buying it. That’s true. However, online buying for nearly anything has one thing that store shopping doesn’t—customer reviews. Online reviews were once just the bastion of books bought from websites. But in 2018, nearly any product you’re looking for has reviews from other people who have already purchased the product you’re considering. Sure, you can read the company’s specs and descriptions. But what about once it’s being used? Customer reviews will tell you what happens after someone got it into their home and actually start using it. This is true of products that were purchased online and in a brick-and-mortar store, and online reviews are available on most e-commerce websites. Your first stop for reviews: Amazon. As one of the world’s largest retailers, you can browse for nearly any consumer goods and find out what previous buyers have to say about a product. It’s free to browse, and you may find out something you needed to know by reading reviews. When it comes to your mattress, size does matter, especially if all you can afford is a mattress under $500. But that’s OK. Since cost also varies with size, the smaller the mattress, the more you can spend. A twin or a full size normally costs less, so you’ll be able to get higher quality models for that $500. The queen, king and California King are a little more difficult to find under $500—but they’re available, you just have to look for them. Chances are, you’ll be expecting a delivery crew to bring it into your house. Most online mattress purchases are shipped directly to you from the factory. No fast-talking sales people. No gimmicks or hype to deal with. You’ll get the mattress you want, delivered to you—in a box. Most mattresses are rolled up tight (think jellyroll) and vacuum sealed. Vacuuming out the air shrinks the mattress considerably, making it easier to ship. When the package arrives at your door, you’ll take it to the room where you plan to use it, remove it from the box, and put it on the frame and/or foundation you’ll be using. Shipping a mattress like this is not only quick and easy, it’s efficient and reduces the carbon footprint. Once the mattress is rolled up and folded, it’s sealed in a heavy plastic wrapper, and the air is removed, shrinking it down to a manageable size that’s easy to ship. It’s put into a second wrapper, then packed into a box for shipment. Once your mattress is set up, the packing materials are minimal and recyclable. Carefully open the box to remove your new mattress. Instructions are included, and you’ll carefully open the sealed plastic and let it expand to its normal size. (Many buyers enjoy watching it expand; some record the re-inflation phase and put the video on YouTube.) Complete expansion time depends on the mattress. Some mattresses will completely expand to their actual size within an hour; some take as long as 48 hours to fully expand, but are still usable. A few may need a week to fully expand. Some models have a chemical smell known as “off-gassing.” Many only off-gas for a day or so, some have little or no smell, but some may be more potent. If you’re sensitive to strong smells, read articles and online reviews before you buy, so you know what to expect when the plastic wrapper comes off. Warning: these mattresses are still heavy, and can weigh over 100 pounds. Get help moving them upstairs or onto your box spring or bed frame if they weigh more than you can lift. Note that it’s not just a mattress under $500 that’s shipped this way; mattresses from vendors that are over $500 are rolled, sealed and shipped, too. Make sure you understand the company’s guarantee and return policy before buying. Some companies have a long-term guarantee if you buy directly from their website, but only offer 30 days if you buy from Amazon. But because they’re only online, their customer service people work with you to make sure you get what you want when you order. With so many options available, even with mattresses at this price point, there is a mattress that’s right for everyone. 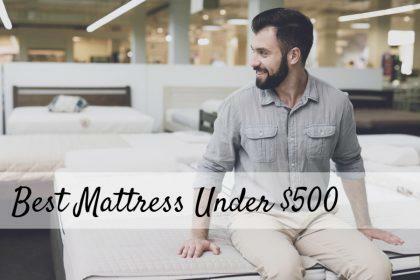 But there isn’t one single mattress under $500 that’s right for everybody—it’s up to you to find your right mattress. We’ve compiled a list of some of the best mattresses under $500 for you to choose from. This thicker 12” mattress offers quality materials that give a medium firmness and a cool, comfortable night’s sleep without latex or coils. With an 8.5” high-density support base, it’s topped with 2.5-inch Premium Air Flow memory foam and an 1 inch of exclusive gel-infused viscose. 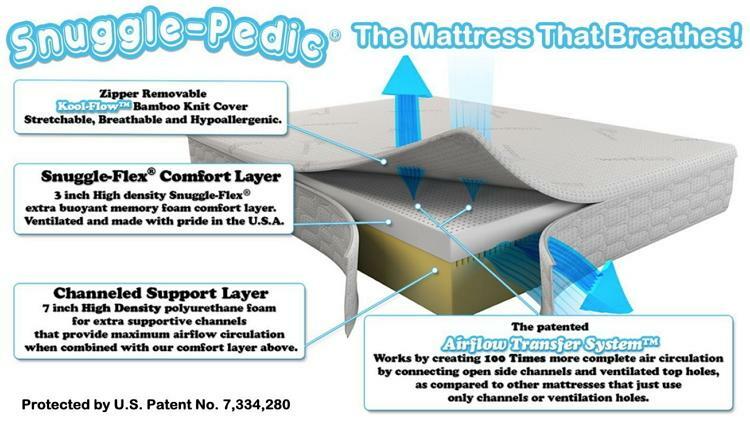 This Certipur-US certified mattress is also non-toxic, and will work on nearly any kind of bed frame—even the floor. Priced at just $229 for a queen, Zinus’ Green Tea Mattress is an Amazon’s Favorite with nearly 20,000 reviews. Zinus’ memory foam conforms to your body to cushion your joints and reduce pressure points to help you wake up with less pain. The breathable foam prevents the “heat trap” that’s common with memory foam so you sleep at your optimal temperature. Believe it or not, you can get a king-sized mattress under $500. Like the others, they’re ordered online direct and shipped to you rolled up in a box like twin, full and queen sizes. Here we look at two for you to consider. The medium-firm mattress combines the support of innersprings with the comfort of memory foam in one neatly-stitched package. There’s cozy layer of memory foam snugly quilted into the mattress to help reduce pressure points. The felt pad in between the foam and the coils offers insulation that’s smooth, and offers great motion isolation. It’s also CertiPur-US certified for safety, made without ozone depleters, PBDEs, heavy metals, or prohibited phthalates. Like the LinenSpa, this Lucid mattress includes gel-infused memory foam for heat dispersion and breathability and is priced a little higher at around $300. The 7.5 inch high density support foam base is topped with a 2.5 inch layer of gel memory foam that’s CertiPUR-US certified, made without toxic chemicals. 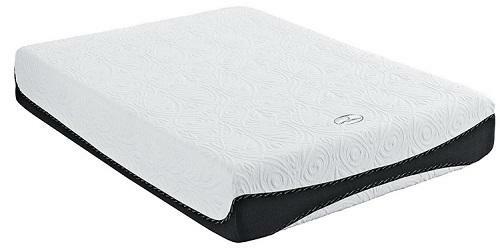 The open cell memory foam design helps eliminate pressure points and gives a medium-firm feel. 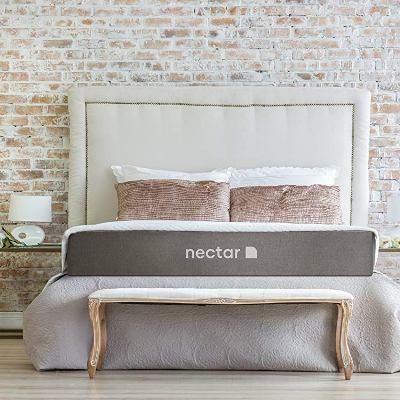 The TECNEL-blend fabric cover controls both moisture and temperature and creates a layer of air, giving you a more comfortable night’s sleep. May not be suitable for sleepers over 200 lbs. Again, smaller sizes cost less, so buying a full-size mattress under $500 means somewhat a higher quality mattress. Here are two that may be just what you need. 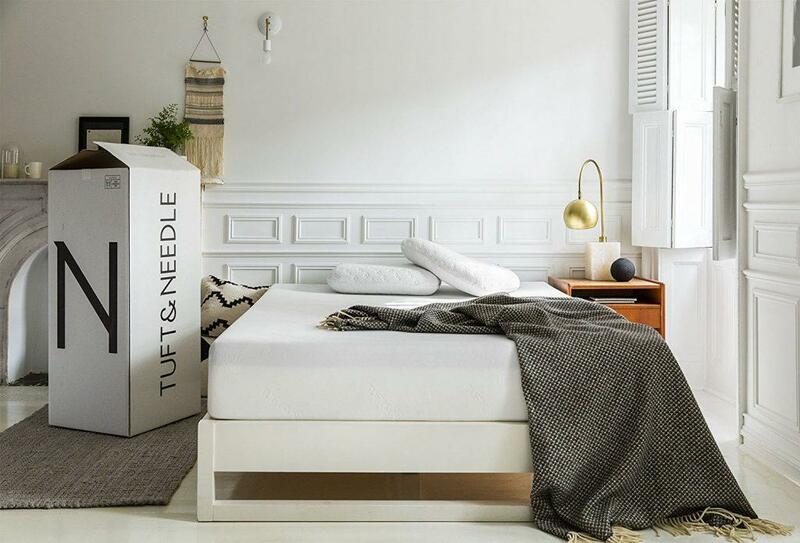 One of the best bed-in-a-box mattresses on the market, Tuft & Needle’s full size model comes in just under the mark at $475. 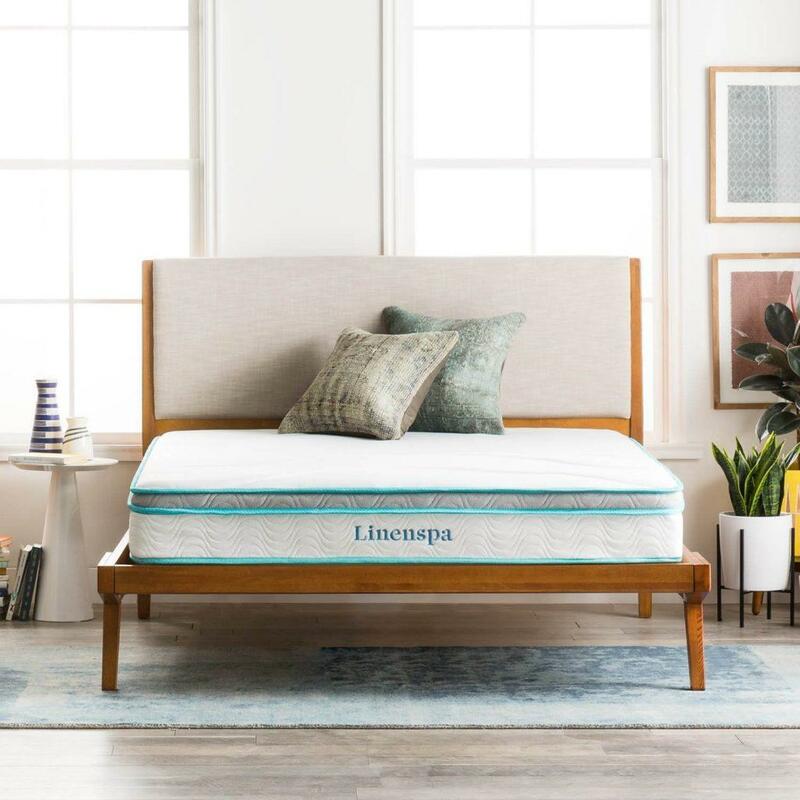 Made with T&N’s own poured “adaptive foam,” it’s a CertiPUR-US certified mattress that’s not too hard, not too soft, and not too hot, either. Graphite and gel are infused in the mattress to prevent overheating, and supportive to avoid pressure points. It’s an Amazon’s Choice for “mattress in a box” with over 6600 reviews (90% five star) and 1000 answered questions. 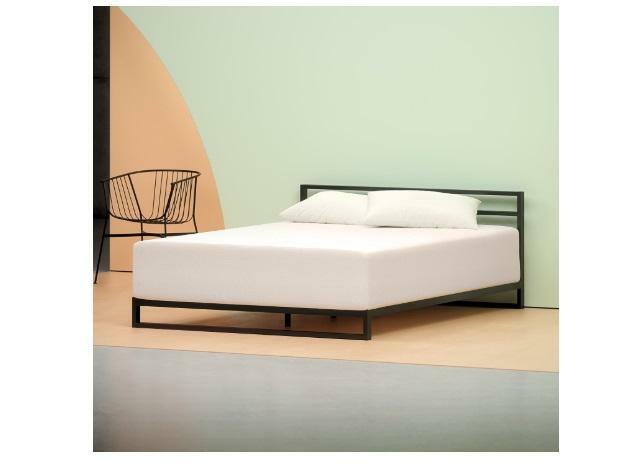 This 13” thick mattress is priced at around $420, so it’s still a mattress under $500. And with the savings, you can splurge on some nice new sheets. The medium firmness is good for couples as well as for any type of sleeper. The natural New Zealand wool cover wicks away moisture, keeps you cool and is removable for washing. On top of the 7.5 inch base foam is a 2-Inch Ventilated Airflow Zone that allows breathability, helping you stay cool at night. The 3.5 inches of gel memory foam offers pressure relief and spinal alignment while reducing motion transfer and keeps you from tossing and turning. No toxic chemicals, including flame retardants, are used in this CertiPUR-US foam mattress. 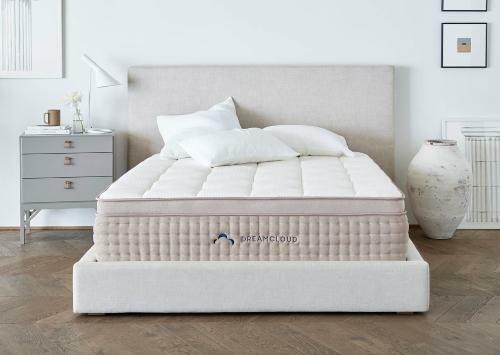 If you’d really rather have the traditional innerspring mattress without the complications of memory foam, you’re in luck. 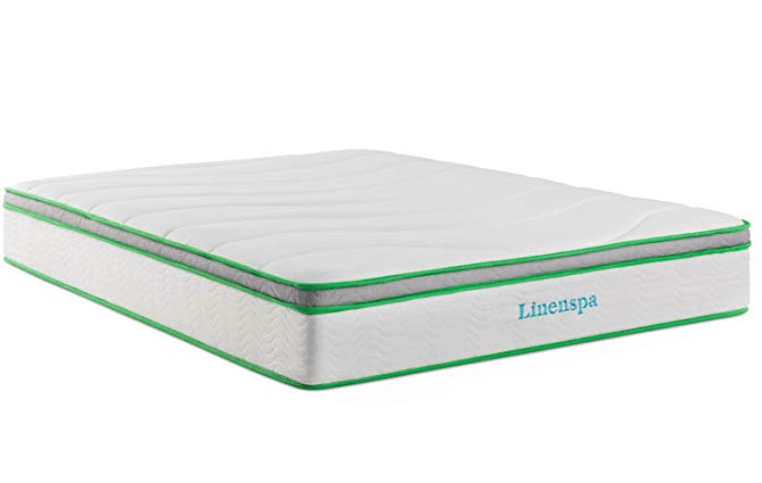 There are a number of innerspring models of the mattress under $500. Finding and ordering them couldn’t be easier. Here are two we found that might be just what you need. Priced at just $168 for a queen sized model, you’ll be sleeping soundly knowing you didn’t overspend. Individually wrapped coils offer responsiveness and comfort while the added layer of comfort foam gives pressure point relief. The coils contour to your body and respond without motion transfer, and a pillow top layer added. While comfortable, it does need some solid flat support underneath. The breathable knit cover keeps everything in one neat sleeping package. Great for guest beds or kids rooms, this Made-In-The-USA has over 9,000 happy sleepers. 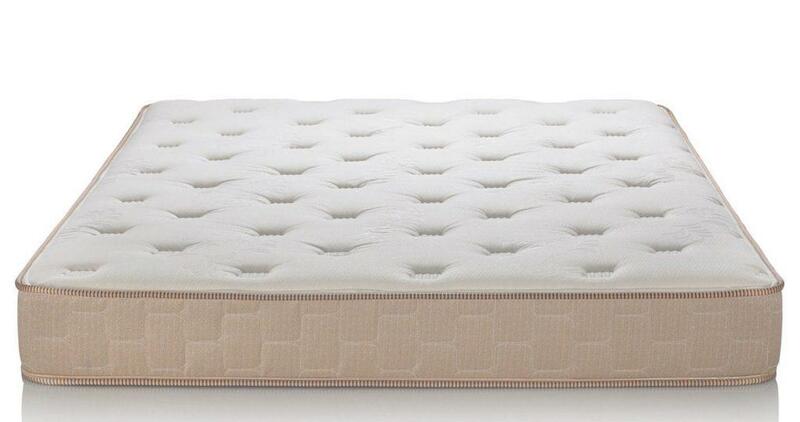 The foam in this mattress is CertiPUR-US certified with no toxic chemicals. Individually wrapped coils give the right support where you need it, including a reinforced lumbar region. The unique 3 Zone Support System eliminates pressure points, motion disturbance and lower back pain, and has a plush quilted cover with soft wool that keeps you cool and comfortable all night. “Practical” is how one review describes this affordable mattress, and another says “better than expected. 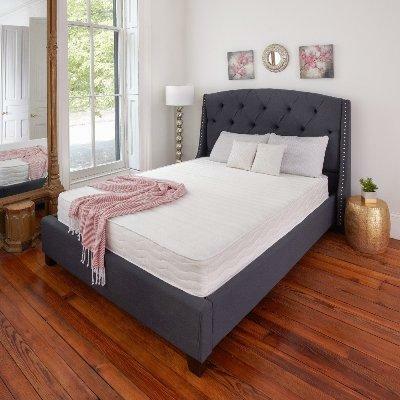 ” With nearly 900 reviews, it’s no wonder this $217 mattress is so popular. Some buyers get more than one—for themselves, their kids (even adult kids), as well as more for guest beds, vacation homes and rentals and RVs. You really can get a best mattress under $500. It just takes a little investigation and deciding exactly what you need. Whether you’re looking for a temporary sleep solution, a guest bed for your home or vacation place, or your long-term every night bed, a good mattress under $500 is possible. You don’t have to sleep uncomfortably while you save up for that really expensive mattress set. No need for hand-me-downs or buying a used set from someone you don’t know. Understand that at this price point, there will be some give-and-take. You’ll have to give up some features in order to find the best mattress under $500. Again, for the $500 price point, the better, higher-grade mattress are available in smaller sizes. If you’re not willing to trade off some of the features, you may need to save up for something in the $500 to $1,000 category. But companies that sell directly to you online eliminate markup and the hassle of going into a mattress store and dealing with salespeople—a feature that a lot of buyers may appreciate. You might as well sleep well while you’re saving for the more expensive mattress set in the future. We all need a good night’s sleep. But it doesn’t have to cost a fortune to get one. With these affordable options, you’ll be able to get a better mattress under $500 and start sleeping better soon.